You can’t be a genuine gearhead unless you’ve owned an Alfa Romeo. It’s a common axiom. That’s because Alfa Romeo, above all other automakers, understands that driving is a sensual, visceral experience. Alfas look gorgeous. Their engines sound explosive and sonorous. Their potency comes with a distinct personality. Driving an Alfa Romeo reminds you why you love cars. The current Giulia Quadrifoglio ($73,700) is a proper Alfa Romeo. It was the perfect car to reintroduce Alfa Romeo to the U.S. market. Already a legend, it is destined to be a modern classic. One must appreciate Alfa Romeo’s sheer ambition. BMW’s M3 provides the benchmark for sport sedans. That reputation stems from decades of excellence. Alfa, with help from Ferrari, took on the M3 with the Giulia Quadrifoglio and blew it out of the water. The Giulia Quadrifoglio is faster. It’s more compliant. It looks better in metallic blue paint. Driving the Giulia Quadrifoglio thrills. It’s as close to a four-door Ferrari production sedan as we’ll ever get. The “Ferrari-derived” 505hp Twin Turbo V6 makes the Giulia QF lightning quick. It would be unnerving but for the supreme balance and laser-precise steering. It can be as maniacal or as composed as you want it to be. The German ZF transmission is dulcet and intuitive. You forget the paddles (or the absent manual option in the States) after a short while. 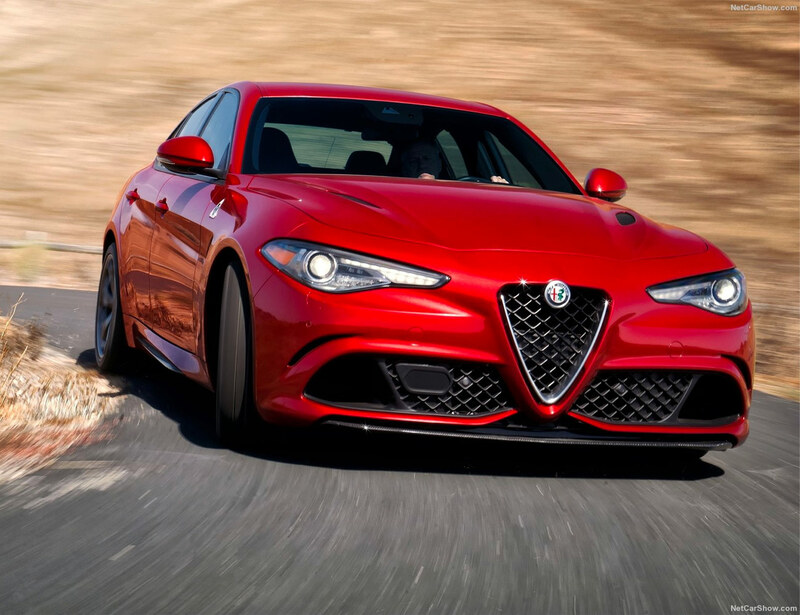 The Giulia shifts better than you can. The transmission misstepped once in a week’s worth of driving. When I accelerated from zero to 20mph over the speed limit, the Giulia Quadrifoglio presumed I wish to keep going. In true Alfa fashion, it was more in tune with my heart than my head. Daily driving the Giulia Quadrifoglio is not annoyance free. Lane clogging SUVs will annoy you. Our oppressive regime of traffic laws will subdue your buzz. 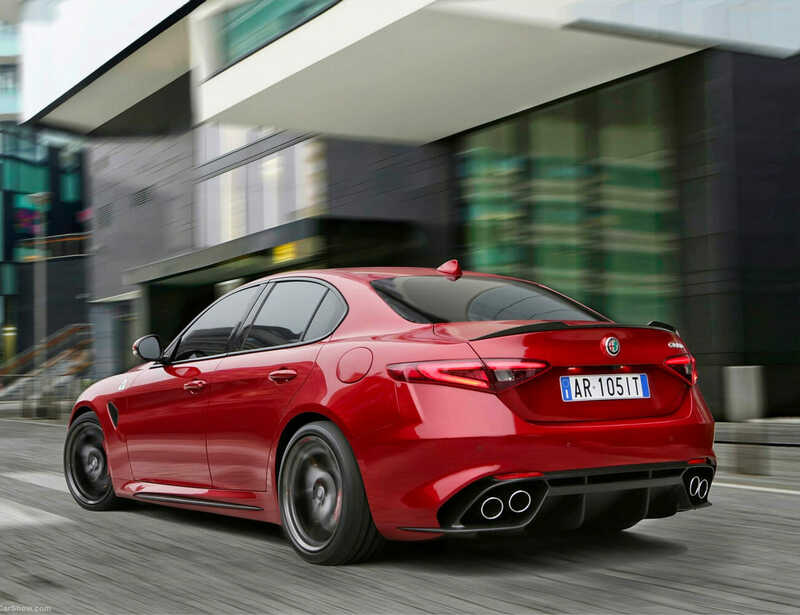 The Giulia QF can still provide a compelling drive at normal speeds. But, you’re ever cognizant of how much fun you could be having if not for other people. Performance comes with impeccable Alfa style. The Giulia is beautiful. Clear lines project the available power and aggression under the hood. But a subtlety and effortless restraint underlie the whole package. The Quadrifoglio version does not announce its hotness beyond the odd clover. It doesn’t need to. The Giulia looks like what it is, an M3 redone with better taste. The sports sedan is the ultimate real-life driver’s car. The Giulia Quadrifoglio may be the ultimate high-performance variant. It may never be topped. It also brings the noise. The Giulia Quadrifoglio’s engine is a purified raucousness. Think Beethoven over Metal Machine Music. You find yourself cranking up the revs to hear it again, at every stop sign, light, or gap in the traffic. Alfa Romeos are perfect. Why doesn’t everyone who can afford one own one? They don’t always run. Stereotypes depict Alfas as notoriously unreliable. Some stereotypes are rooted in fact. My parents still remember the name of their old GTV 2000’s mechanic forty years later. They remain convinced he was sabotaging the car. It didn’t seem possible to them that many things could go wrong with a car. In that respect as well, the Giulia Quadrifoglio has proved itself a proper Alfa Romeo. There are two general reviews of the car. The first rates it as at or near “best car on the road” status. The second describes where the reviewer was driving when the engine light popped on and the car died with an unclear prognosis. Mine had zero issues for what it’s worth. Though, I only drove it for a week and did not track it. Issues, particularly in early press cars, no doubt stemmed from the development process. Alfa Romeo rushed the Giulia into production in two and a half years. Most cars take four-plus to put out. Working out some of the inevitable electrical gremlins happened with real drivers on the road. Things could get worse as these cars age. If you want a sedan to bore you with its obsessive reliability, buy a Toyota Camry. Okay, so the Giulia Quadrifoglio is a great car. It’s a mind-blowing drive when it runs. Why, beyond that, will it be collectible? Animalistic car performance will be at a premium moving forward. The sports sedan is the ultimate real-life driver’s car. The Giulia Quadrifoglio may be the ultimate high-performance variant. It may never be topped. A pocket rocket sedan with a 3/10 EPA smog won’t be on the menu moving forward. Manufacturers are phasing out both sedans and internal combustion. Even Alfa will be moving toward plug-in hybrids and EVs. Performance may well be “ludicrous.” But, it won’t feel or sound the same. 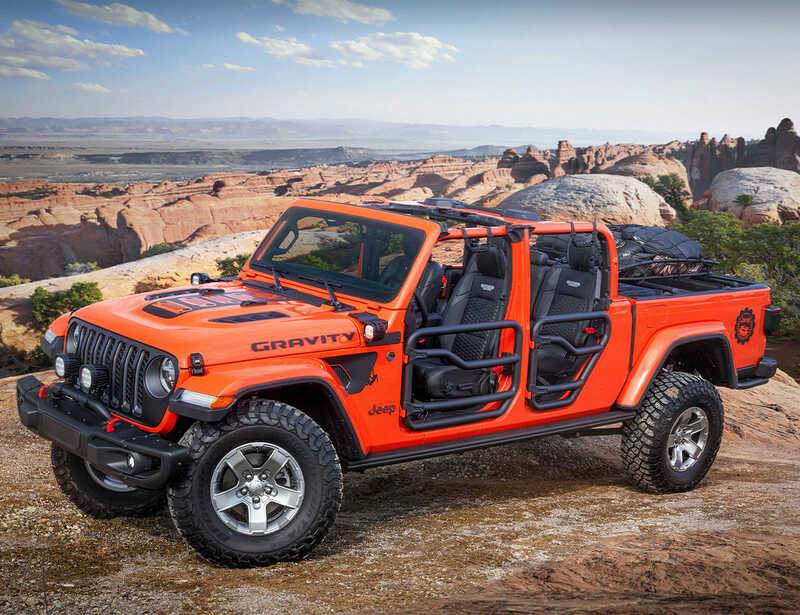 This car will remind purists what they loved about gas and be worth what may be a crushing expense to fuel it. The Giulia Quadrifoglio is part Ferrari, the important part. It’s not an affordable car. But, it’s more attainable than a true Ferrari. It’s a special and memorable collaboration. 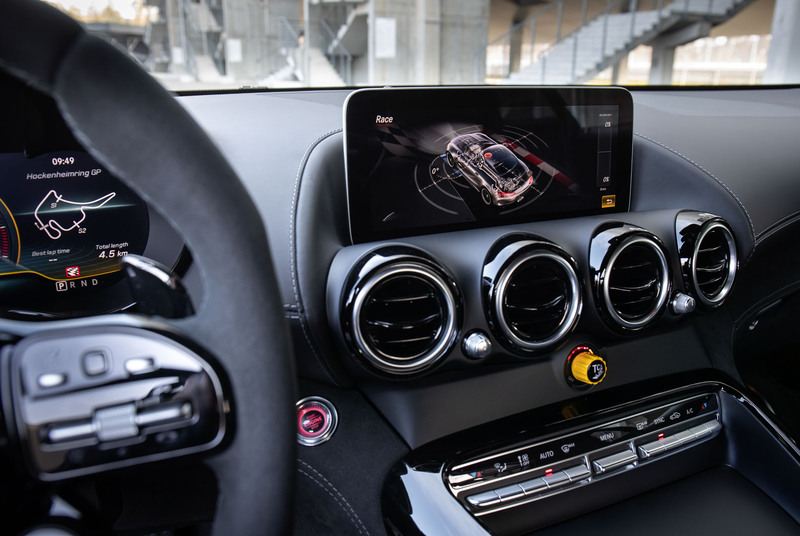 The notion is similar to the legendary Mercedes 500E from the early 1990s that had a Porsche designed chassis and was assembled on a Porsche line. Giulia Quadrifoglios should be relatively rare. Alfa does not sell in huge numbers compared to Mercedes and BMW. 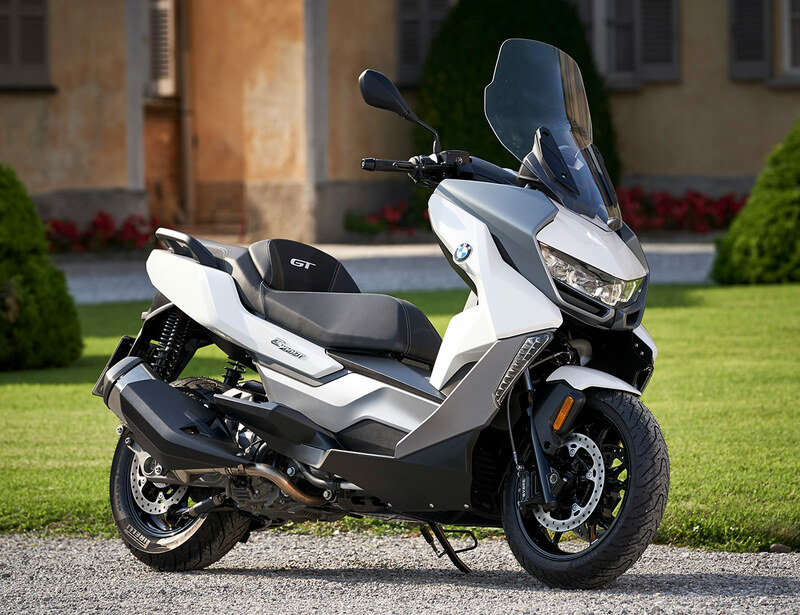 The Italian company did have a record U.S. sales year in 2018. But, that was still fewer vehicles than Mercedes sells in the U.S. during one month. Most Giulias sold will be lower trims, not the Quadrifoglio. My local Alfa dealer has 86 2018 and 2019 Giulias listed in its present inventory. None are Quadrifoglios. Finally, it’s an Alfa Romeo, a darn near impeccable one. Alfas charm car people. They charm non-car people. My wife scolded me for shifting out of dynamic mode and softening the suspension on the highway on the way back from dinner. My other passengers gushed about rides around the block. The Giulia Quadrifoglio’s charisma was infectious. Or, perhaps, it was my persistent glee rubbing off on everyone I met.